The only thing worse in life than running with scissors is throwing knives at your friends. 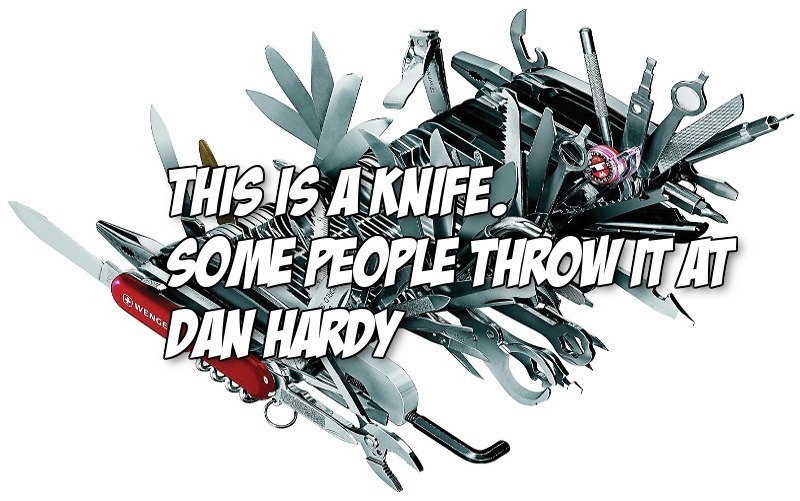 As a kid, even when he was in a hurry, ex-UFC welterweight Dan Hardy would never even briskly jog with sharpened scissors in his hands. Yet here we have a video with Hardy with his back against the wall as knives are thrown at him. Hardy is so nervous his Mohawk won’t event sit up straight. No amount of hair gel or gumption can make a Mohawk hold firm when under the attack of a professional knife thrower. Well at least Hardy’s life and facial features are in the hands of a professional and not some random UFC light heavyweight fighter from Poland. Wait, is that Jan Blachowicz?! ?